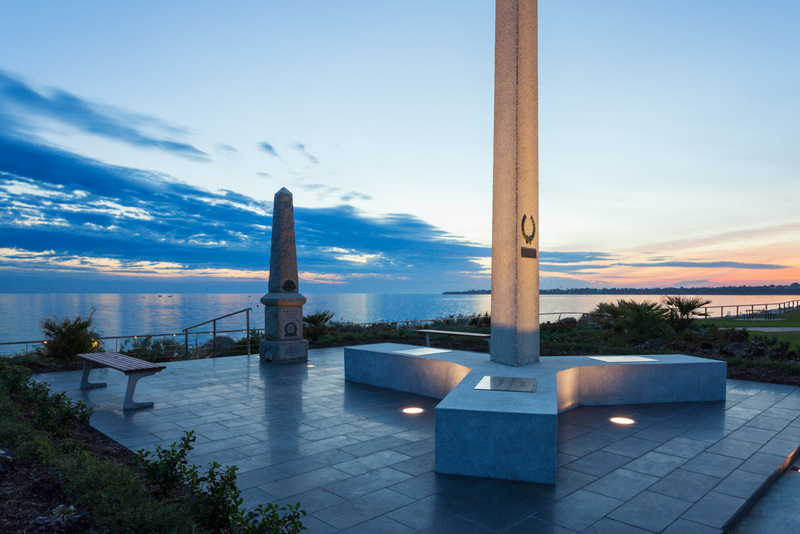 Mentone Parade Memorial Park reopened at the Anzac Day dawn service on April 25, 2014. 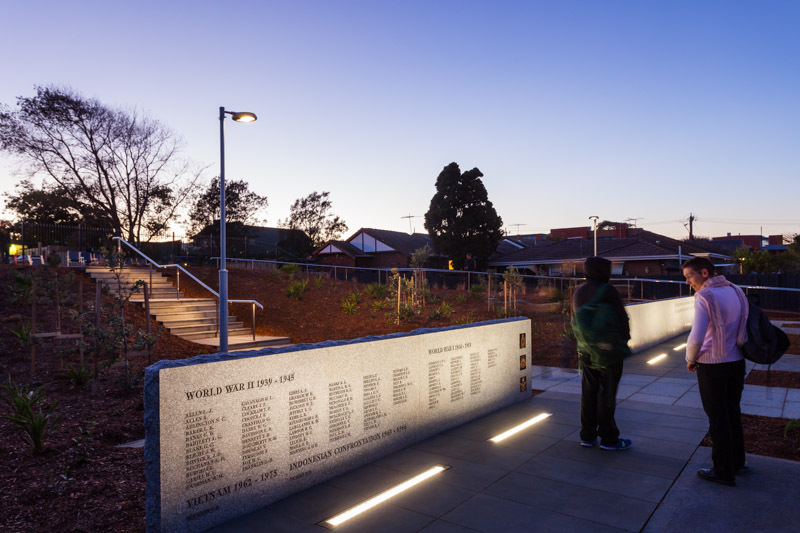 The centrepiece of the redesigned park is a granite honour wall commemorating the enlisted men and women from the Mentone, Parkdale and Mordialloc areas who died in service during WWI, WWII and in subsequent conflicts. 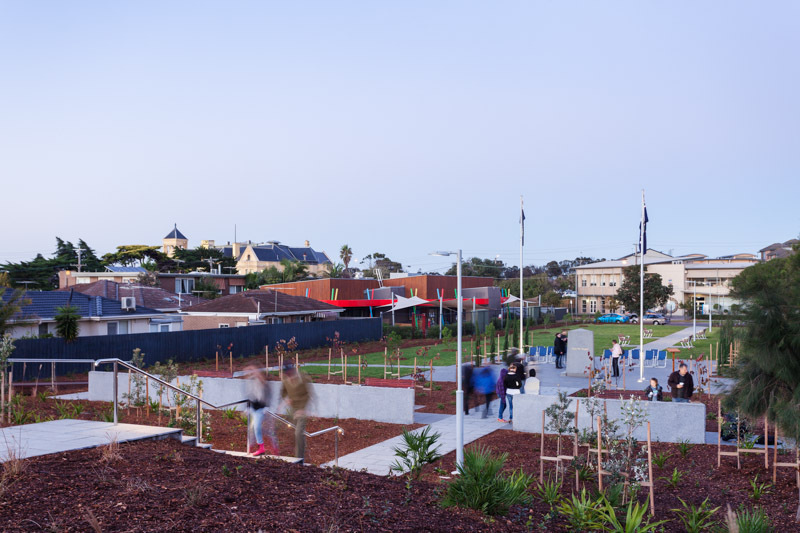 The Urban Initiatives design for the park moved the central axis of the park so that it aligns with the tower of the historic RSL building that sits above the park. 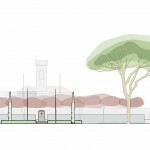 The existing obelisk was also moved to a central position in a stone paved ceremonial court. 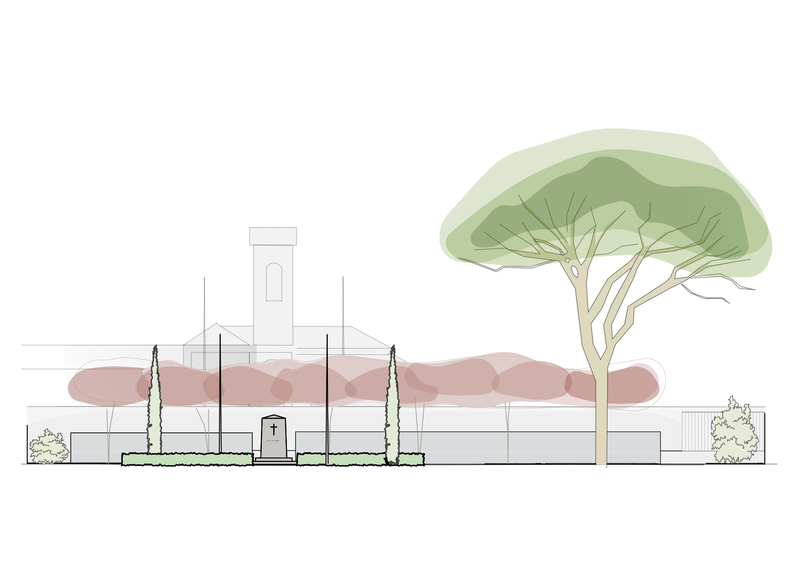 Beyond this court, the central path runs through a contemplative garden of red-leafed (Cercis) trees before bisecting the new memorial wall. 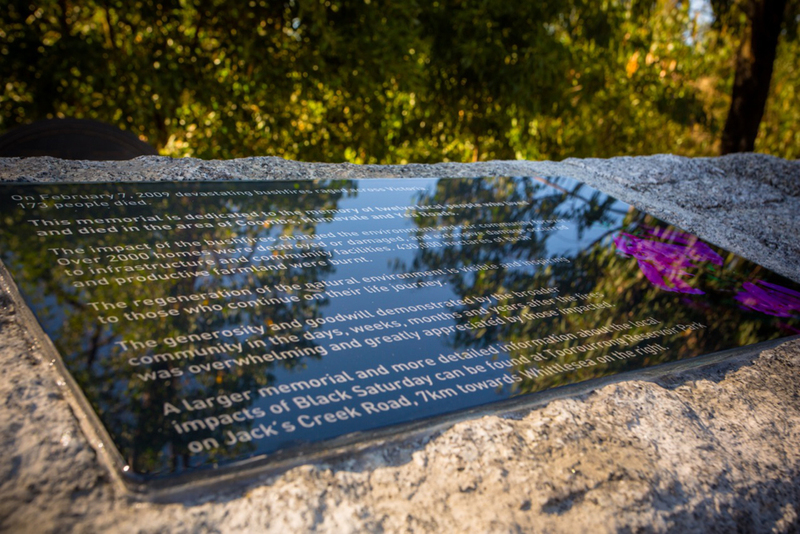 To the left lie two panels of the granite wall, inscribed with the names of those who lost their lives in the two world wars, in Vietnam and the Indonesian Confrontation. To the right, the wall continues for twelve metres; along its base a field of carved red poppies and above, a stanza from the Ode of Remembrance. 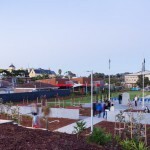 The southern side of the park is planted with Lone Pines, the ceremonial court with sentinel Italian Cypresses and the central path with Coastal Banksia. 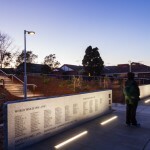 A timber ramp connects the Memorial Gardens to the RSL building above.